One of baseball's charms has been as a sport that doesn't run by the clock. But has that become a liability over the years become of the demands on our time? 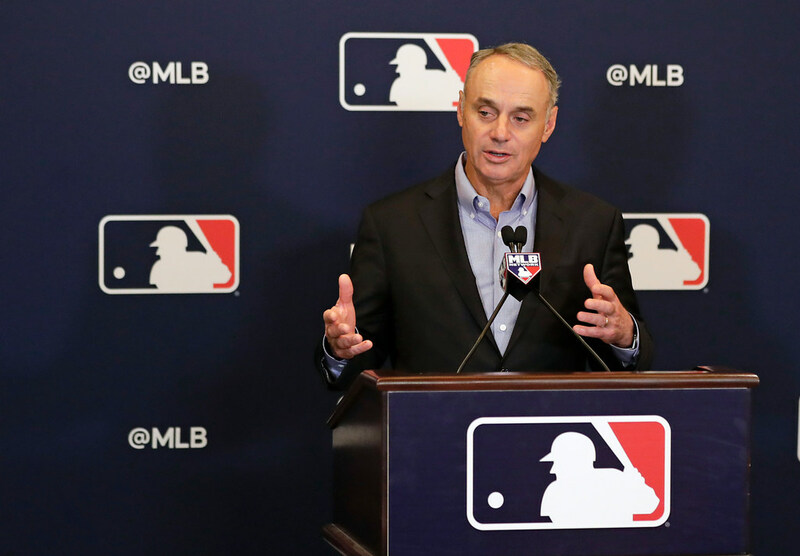 Major League Baseball, in a proper and dutiful quest to work on the related (but not identical) problems of pace of play and length of games, is again looking at various proposals related to the 2019 season. The two ideas picking up steam lately: the adoption (finally) of a 20-second pitch clock and a rule stating that unless an inning ends, a relief pitcher must stay in to face at least three batters. As someone who has enthusiastically watched minor league games and noted the improved flow with a pitch clock, I heartily endorse the first idea. The second one is intriguing, though would probably need a few more caveats to be practical (what would prevent a team, say, from pretending a pitcher was injured and needed to leave the game). Commissioner Rob Manfred should be commended for pursuing these objectives and not merely being satisfied that MLB shaved five minutes (from 3:05 to 3 hours) off the nine-inning game time between 2017 and 2018. Unfortunately, the bigger issue lurking within the sport — which saw attendance decline by 4 percent in 2018, the fifth time in the last six seasons attendance was down from year to year — might be one that can’t even be solved by such pace-of-play initiatives. By its very nature of not having a clock, MLB has by far the most significant variance in time of game of any major U.S. sports league. And that fact — which was part of baseball’s charm in a different era, when a lot of fans perhaps had more time than money — is working to its detriment in an era when more and more people often would prefer to part with money than time. Every Wild game this season that ended in regulation — the vast majority of games — has lasted between 2:18 and 2:42, and even games that go to a shootout usually end in 2:45 or less. The average Timberwolves game lasts around 2:15, and it is very rare for a regulation game to stray more than 15 minutes on either side of that figure. Lynx games tend to be a little shorter (40 minutes vs. 48 minutes of action), but he variance is about the same. A regulation Vikings game? You can bet that it will end in around three hours and bet with near-certainty that it will be within 15 minutes either way. Major League Soccer? With no overtime in the regular season, you can almost set your watch to a two-hour game for Minnesota United. Twins games on average (including extra innings) lasted 3 hours, 10 minutes last season — among the slowest in baseball. But the longest nine-inning game lasted 4 hours, and the shortest was 2:14. Seventeen nine-inning Twins games were at least 30 minutes longer than the MLB average last season. If you’re at (or watching on TV) a 7:10 p.m. game on a weeknight, or an afternoon game on a weekend when you have other plans later, or you have young kids, and you have no idea when a game is going to end … that can feel like a problem. Planning to leave after a set amount of time is one way to solve the time dilemma as a fan, but it doesn’t seem desirable. It makes the outcome feel disposable – which might be a reality in this era (and in a sport with a 162-game schedule), but hardly a positive one for anyone. Making games shorter would probably shrink the longest-shortest gap a little, but that sort of wide disparity was still part of baseball a generation or two ago, when the average game time was more like 2 hours, 30 minutes. (The 1965 Twins, for instance, had a 100-minute gap between the shortest and longest nine-inning game). Short of convincing a modern fan to stop being overscheduled and just relax — or doing something radical like adding a game clock instead of just a pitch clock — I’m not sure how MLB can solve this problem.